We’re delighted to be working with Steve Gunn once again! People have written about roads for as long as they’ve been around. And before there were roads, they still wrote about travel and about landscape. Landscape is the stage upon which our greatest experiences and desires play out. 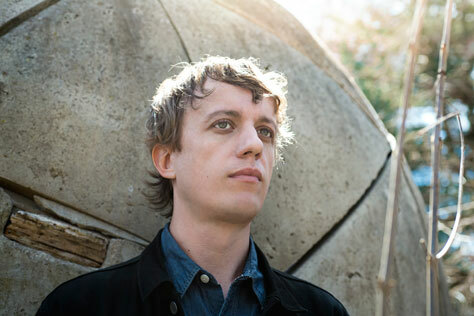 Steve Gunn‘s music has always embraced expanse and movement. It springs from the simple and profound relationship between humans and their environment. Eyes On The Lines is his most explicit ode to the blissful uncertainty of adventure yet. Gunn’s roots in the underground run deep, from his days in GHQ to his collaborations with Black Twig Pickers and Mike Cooper. He’s toured and recorded with Michael Chapman, and released two remarkable duo albums with drummer John Truscinski. His solo ventures, emerging over the past decade and culminating most recently the highly acclaimed Way Out Weather, have been pastoral, evocative affairs. Here he embraces his urban surroundings through a series of songs that fully showcase his extraordinary ability to match hooks to deftly constructed melodies. Gunn is a consummate guitarist, that rare fingerpicker who can harness the enigma of the American Primitive vernacular without lazily regurgitating it. His playing is inventive and full of personality. His instrumental virtuosity calls upon a vast library of technical skills at will, but he’s never showy — his riffs and runs are always in the service of the song at hand. Tour support comes from Nathan Bowles. Nathan Bowles is a multi-instrumentalist musician and teacher living in the Piedmont of North Carolina. His work, both as an accomplished solo artist and as a sought-after ensemble player, explores the rugged country between the poles of Appalachian old-time traditions and ecstatic, minimalist drone. He and his bandmates in the popular and critically acclaimed old-time group the Black Twig Pickers steep themselves in local traditions of Appalachian folk music and dance, very much a vital part of cultural life in their region of Virginia. When playing by his lonesome under his birthname, he prefers either minimal and hyper-nuanced percussive drone or tranced-out solo clawhammer banjo. He currently records and tours as part of Steve Gunn’s band, the Outliners. Bowles has also recorded, collaborated, and performed with, Jack Rose, Hiss Golden Messenger, Black Dirt Oak, Scott Verrastro, Pigeons, Spiral Joy Band and others.